If you’re talking about marriage proposals . . . Imagine a baby elephant as your ring bearer or finding a secluded nook on a fantasy isle to make a proposal you’ll remember all your life. It’s all part of a special package of unexpected and one-of-a-kind scenarios created by Anantara Hotels, Resorts and Spa’s Golden Triangle Resort in northern Thailand. It begins with a traditional Thai welcome aboard a longtail boat from the nearby historic town of Chiang Saen. The boat takes you along the Mekong River towards the Golden Buddha landmark and to where Burma, Laos and Thailand converge. 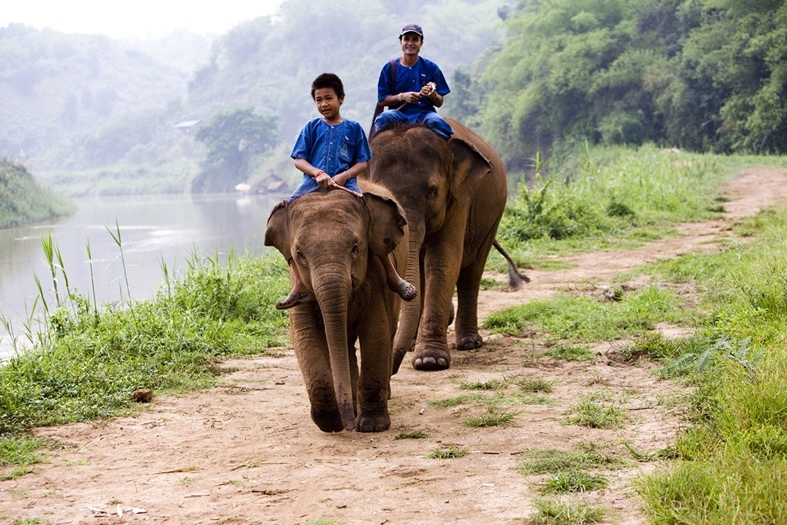 From there, the journey continues with an elephant trek through 160 acres of jungle and lush countryside. And then, at sunset, you and your partner will dine in any number of intimate settings – from a secluded terrace to a moonlit hilltop, offering views of the three countries, or to a rice paddy with baby elephant companions. Fun-loving Phil, one of the baby elephants, will be assisting in the romantic events of the evening, offering a bouquet of flowers in his trunk or a bow-tied gift box around his neck with an engagement ring inside. Then there’s Anantara’s Si Kao Resort, just an hour south of Krabi in southern Thailand, where the Andaman Sea reveals a number of islands. Here you can swim in the warm, clear turquoise waters before journeying through the Emerald Cave, which becomes a dark channel. Torches are turned on to illuminate your way before the first rays of the sun break through. Then, a short swim towards the sunlight, where a champagne lunch laid out on the tropical beach awaits. Bandara Resort and Spa on Koh Samui is offering three new promotion packages for summer and additional packages for October and November. In July, Bandara will feature its 100-minute Bye Bye Cellulite package that includes a herbal steam bath, a slimming spice wrap and a slimming and cellulite massage at a special priced of 4,340 Baht net. Regular price is 5,650 Baht. In August, its 120-minute package – Samui Therapy Escape – will include a traditional coconut scrub, a coconut essence bath and a virgin coconut massage. The August package is being offered at 3,950 Baht net. Regular price is 5,180 Baht. Massages are features in Bandara’s September package – an Indian Head massage, an Oriental blend massage and the Bandara foot massage. The package lasts 120 minutes and costs 3,475 Baht net. Regular price – 5,590 Baht. In October, its 120-minute Ultimate Romance package includes a hydrotherapy bath, aromatic sea salt glow, aromatherapy and honey facial massage – all for 4,590 Baht net. Regular price is 6,830 Baht. Bandara’s November package – Thai Essence – lasts 150 minutes and includes a Thai herbal bath, Thai essential massage with hot herbal compress and Thai herbal facial. Cost – 3,945 Baht. Regular price is 5,535 Baht. The package is part of Raya Spa’s Getaway promotion that begins with an eucalyptus steam bath, followed by a 60-minute bright harmony aroma massage and an aromatherapy facial for radiant skin and a healthier appearance. 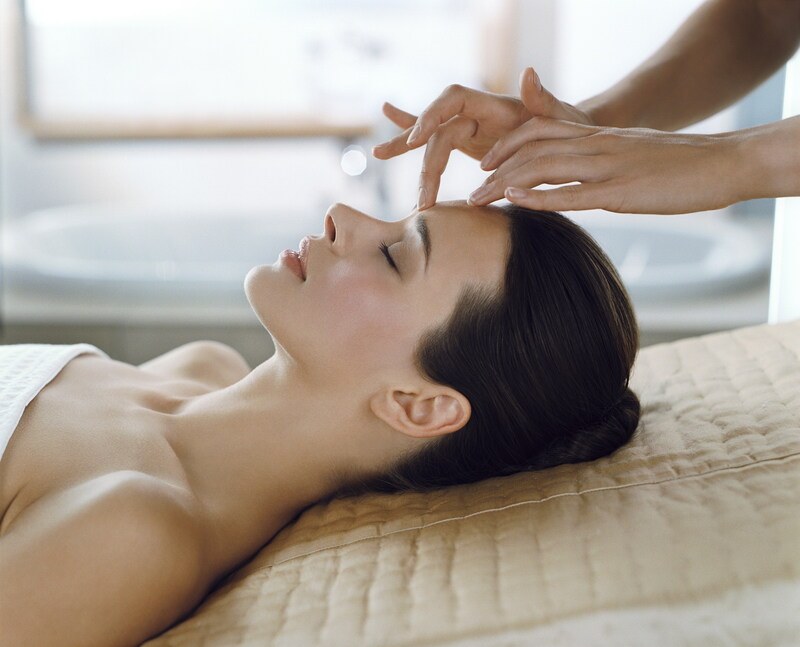 The massage relieves anxiety and tensions throughout the body, leaving the skin nourished and rejuvenated. The promotion is valid until the end of July 2011. Raya Spa is located on the ground floor of the building directly opposite the Sareeraya Villas and Suites, Chaweng Beach, Koh Samui. Elemis has teamed up with the Royal Garden Spa at the Pattaya Marriott Resort and Spa to offer a special spa package that includes a walk-away gift of exotic frangipani monoi oil. The package, available for 4,000 Baht until Sept. 30, 2011, features a 30-minute Elemis deep tissue muscle massage and a 30-minute Elemis facial as well as the gift of the frangipani monoi oil. The Elemis deep tissue massage combines deep, rhythmical movements with dynamic blends of essential oils to detoxify, increase blood and lymphatic circulation, relieve tension and encourage deep relaxation, encourage deep relaxation, balance energy levels and boost the senses. Royal Garden Spa, a hideaway in the heart of Pattaya’s city centre, is designed in the classic beauty and cultural heritage of Thailand’s Lanna era. Absolute Sanctuary on Koh Samui has a new wellness and resort director. She is Jessica E. Simpson, who comes to Absolute Sanctuary with an extensive background in the spa and wellness industry. Jessica’s previous posts include: Vocational evaluator of Gulfstream Goodwill Industries, Delray Beach, Florida; assistant marketing manager, K. Hovnanian Homes, Boynton Beach, Florida; full-time instructor at Y and Yoga Studio, Shanghai; a founder, nutrition educator, yoga instructor at Evolving Wellness, Shanghai; and account manager, China World China, Shanghai. Travel by tuk tuk to make a wish at Thailand’s oldest Indian temple or get ringside VIP seats at the Muay Thai boxing stadium with Anantara Hotels, Resorts and Spas. Anantara is part of the new Grand Hotel Alliance (GHA), created by 12 independent by 12 independent luxury hotel brands and nearly 300 hotels globally in 2010. The alliance recently announced its “GHA Discovery Experience Express” tours, designed for time-challenged travelers around the world. Each experience express offering is designed by a local hotel to provide exclusive access to cultural and off-the-beaten track activities of two hours or less. The experience express awards vary by membership level – the higher the membership level, the more exclusive the reward. Silavadee Pool Spa Resort on Koh Samui has been awarded a certificate of excellence by TripAdvisor. The award is based on comments made by 104 guests about the quality of products and services offered by Silavadee. Silavadee’s “Back to Nature” concept covers 36 rooms of three different luxury categories as well as 19 elegant and exclusive pool villas. Why Thailand? Why Spas? I put that question to a number of spa professionals on a recent tour of Thai spas and I still don’t have a simple explanation, other than there is a special connection that doesn;t quite exist elsewhere. Everyone had an answer but not one that really clicked in my head. For some it was the geography, the landscape, the architecture, the warm azure waters of the Gulf of Thailand, and for others, the Thai people and a sense of kindness, a genuine desire to give from the heart and a deep-rooted Buddhist belief of being of service to others. If you’re going to Phuket this summer, make it July 20-14 for Six Senses Phuket Raceweek 2011. The annual event features four days of international standard yacht racing off Phuket’s east coast and five nights of parties and entertainment at Evanson & Bon Island Resort in Rawai. Evason is part of Six Senses portfolio of properties. The regatta has just been voted “Best Asian Regatta 2011” at the annual Asia Boating Awards in Hong Kong. It is the only second of Thailand’s six regattas to receive this award. 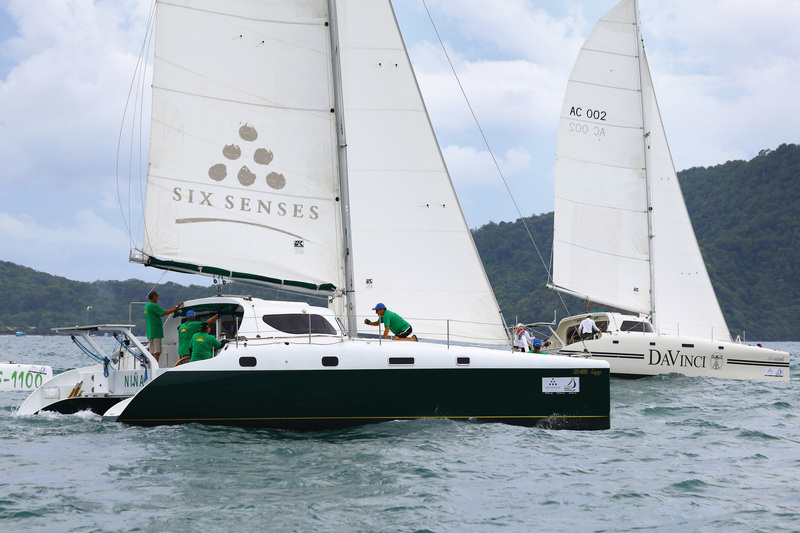 “Six Senses is delighted to continue its close relationship with Phuket Raceweek and we are pleased it has gained international recognition as the region’s most entertaining multi-hull sailing event,” said John Philipson, Six Senses Resorts and Spas managing director, Thailand. Dee Caffari, Six Senses ambassador, a well known yachting personality, will also be on hand for this year’s event. Dee became the first woman to sail solo, non stop, around the world against prevailing winds and currents. She was awarded an MBE in recognition for her achievement. Among leading entries confirmed to date are first-timers, lead bvy David Rose’s new Ker40 pure racing yacht, which will debut at Phuket Raceweek.